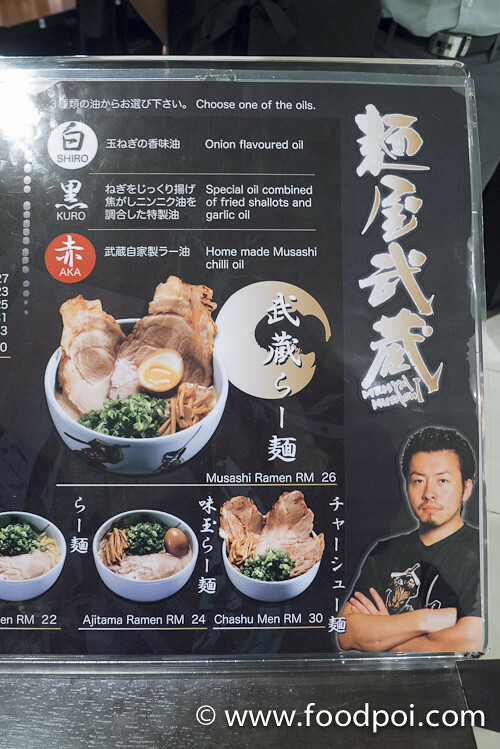 There are a couple of food frenzy trend lately started off with Bubble Milk Tea, then the Kaw Kaw Burger Bakar kick in and the latest is the Japanese Pork Ramen! 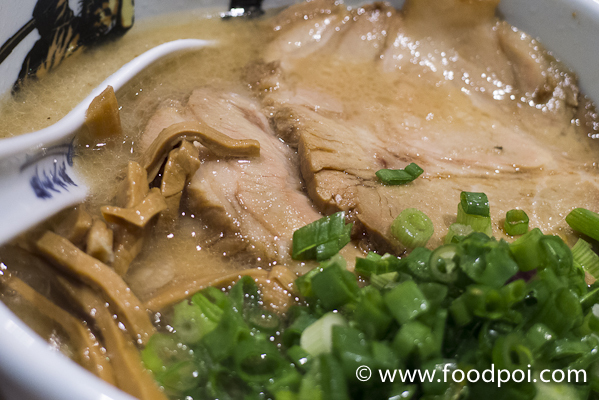 Earlier I did mention I found my best ramen in town which is Yamagoya Ramen located at Publika Solaris Dutamas. 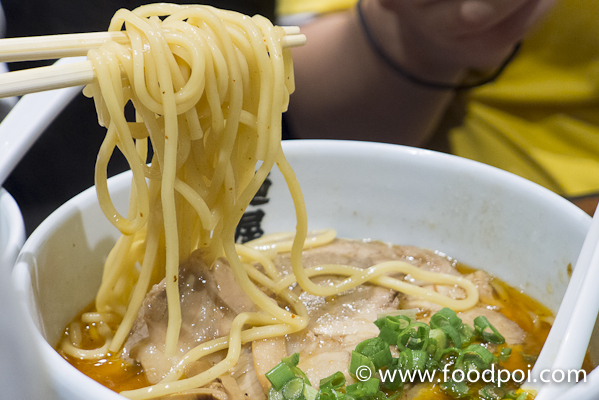 Without a doubt that is a good ramen chain straight from Shinjuku, Japan. 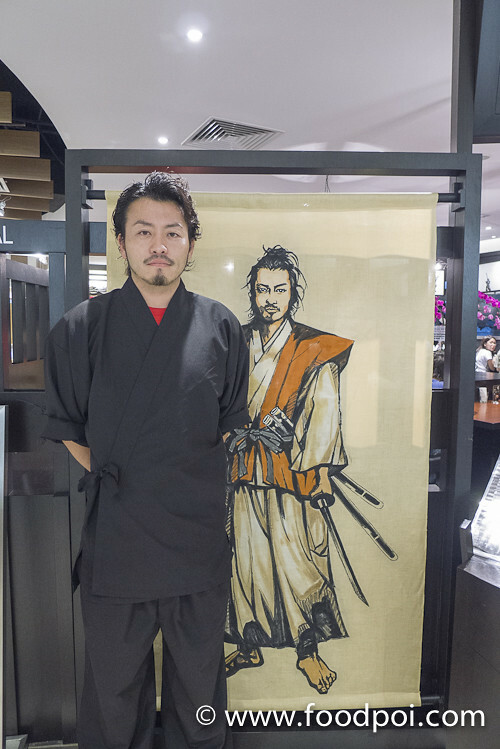 Now they have a big rival which topped my Best Ramen shop. 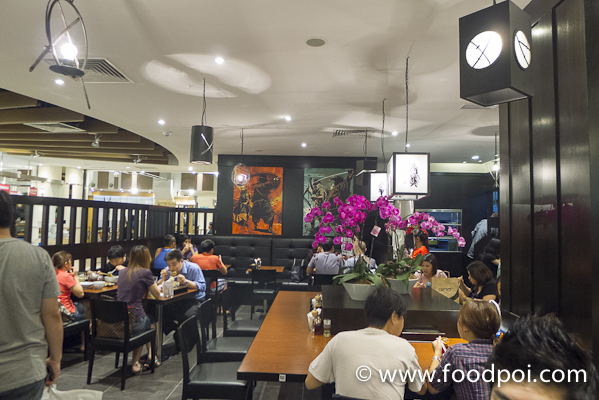 Located at the new old wing of 1 Utama (previously is the place where TGV Cinema located) not it has turn into EAT Paradise where all the Japanese and Korean Food centralize. 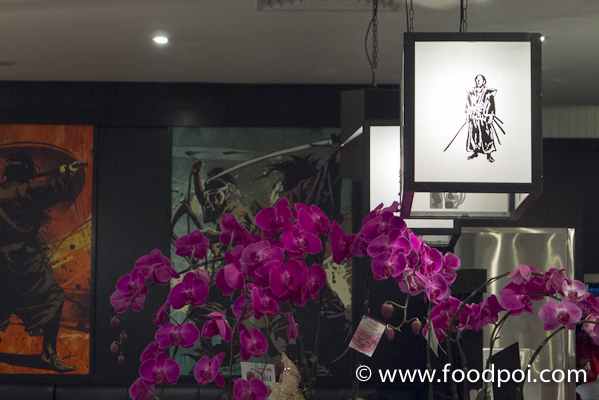 You can expect some top class foods here where its authenticity is guaranteed. 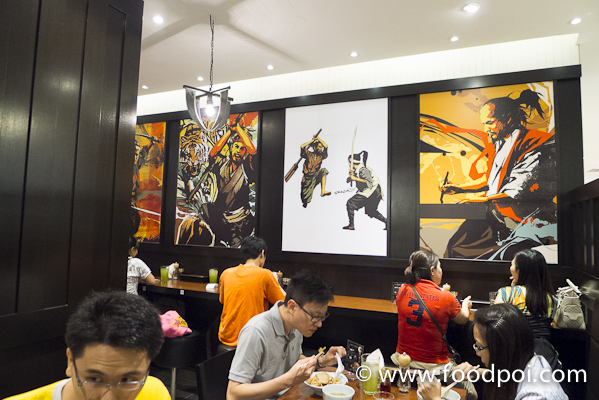 Menya Musashi Ramen is located at the back. So you have to walk in to EAT Paradise and turn to your right, you can see them at the corner. 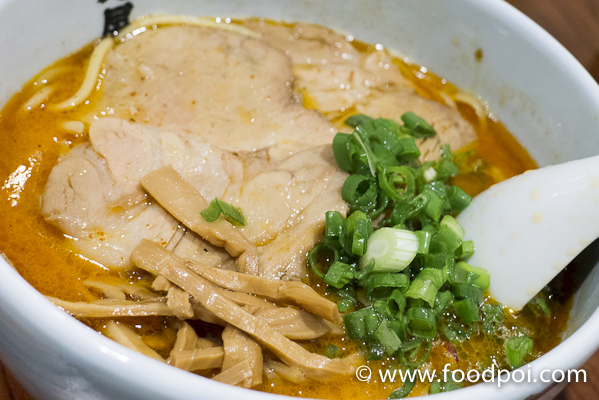 Chashu Men That come with 3 big slabs of thick char siu – RM30 (Shiro) with the onion flavored oil. 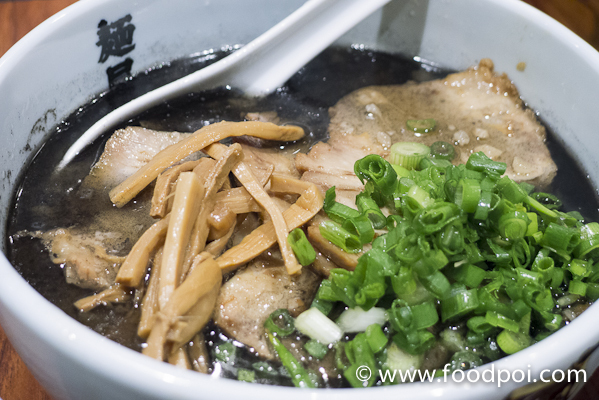 The bowl of ramen come with a thick broth that boil for a long time. The soup are really tasty and we clear till the last drop for every bowl served. 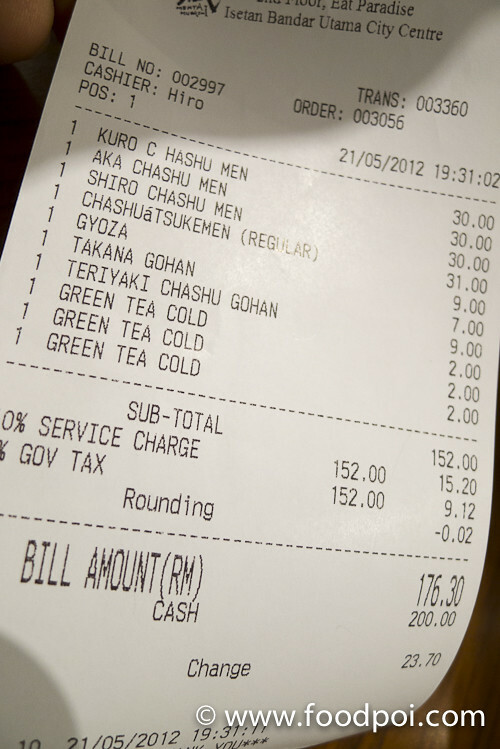 You can ask for more soup for a charge of RM10. YES! You heard it right. RM10 just for soup. The soup are really KOW KOW! Super flavorful and I don’t mind to pack it home and settle with Maggie for supper. This bowl is having the same broth as the Shiro ones. Just that the oil are different. Home made chili oil added. This is my favorite of all. Instead of getting the aji tamago, we get 3 slabs of meat. 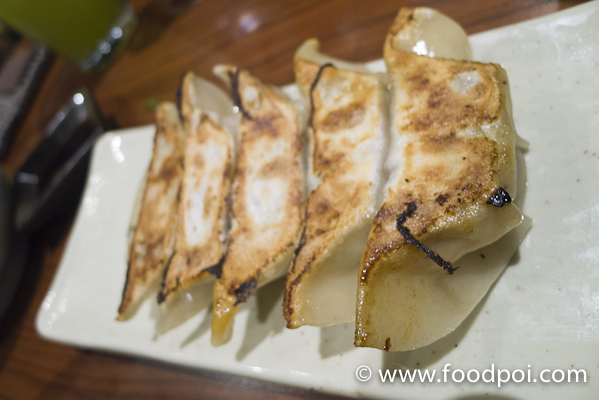 The one below is the same with 2 slabs of meat and half aji tama. This one would be able to satisfy my lunch meal but not satisfy enough. Add one more char siu is just nice. Special fried shallot mix with garlic oil put in the super tasty soup base to make you have another different experience. Though everything is so perfect, the noodle I can taste a slight lye water. Still I don’t mind on that and we clear the bowls like in 10 minutes. 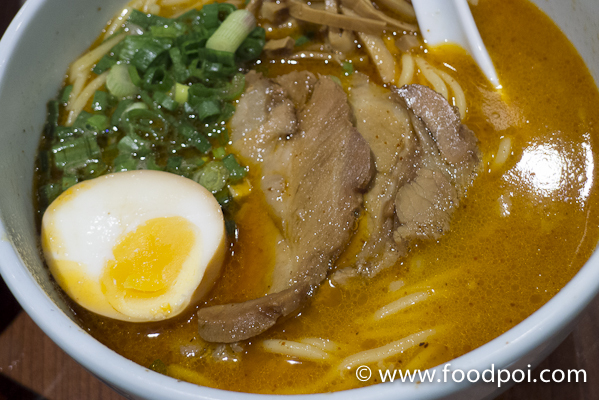 The dry version of the ramen that come with Char Siu and Bambo Shoots. 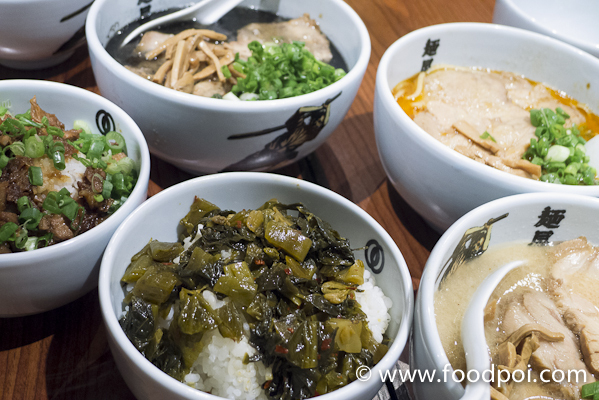 It come with a bowl of thick soup that are so flavorful and salty. 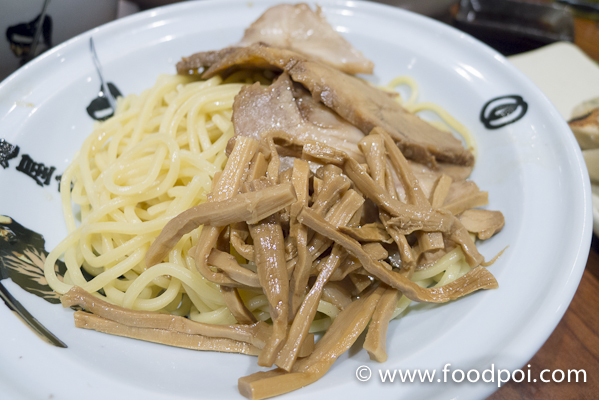 To eat this Tsukemen, you should dip it into the soup and then only put in your mouth. More of like eating Soba. The taste are quite nice but still I love my bowl of piping hot soup ramen. 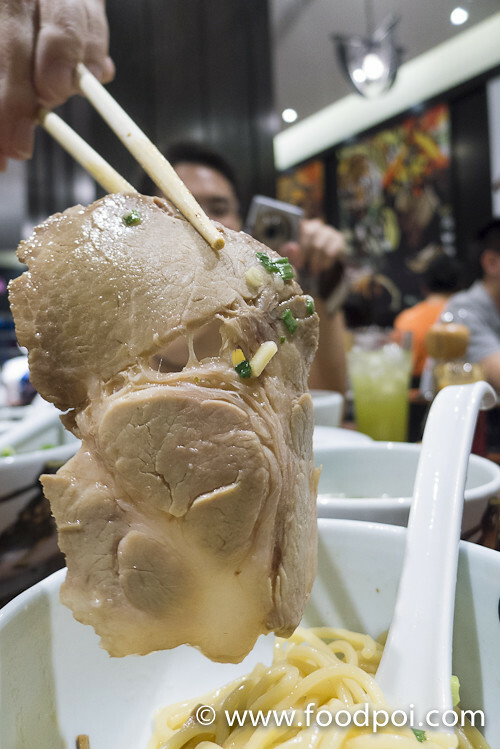 The char siu is thick and perfect proportion in terms of lean and fats. 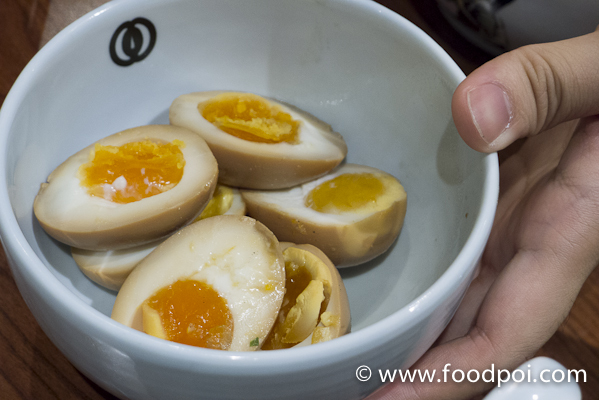 I like my aji tama to have a runny yolk. Some love it this way but it is still tasty. 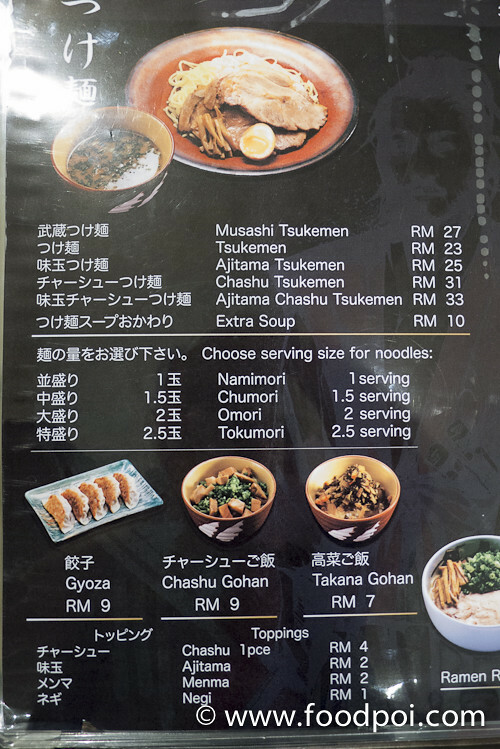 If you find that the ramen is not sufficient to fulfill your apetite, you should try their gohan. It is soooooo good! Very simple yet authentic. Unlike a lot places spoil with fake katsudon. 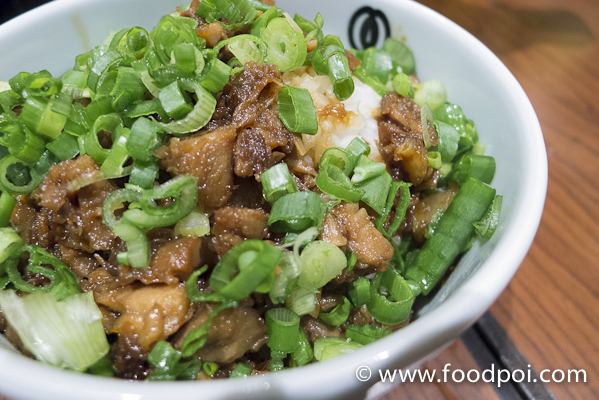 The pork bits are cooked with bean paste and then mix together with lots of spring onions. 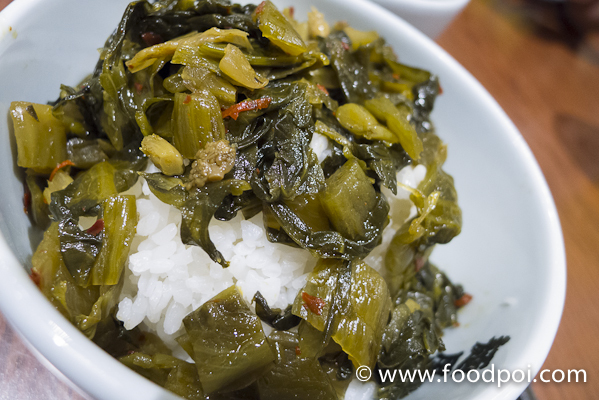 Rice with pickled vege. Taste like our Chinese Ham Choi. Perfect skin but the pork filling not sufficient. Our round 1 servings. All this are cleared by 4 guys and 2 gals. 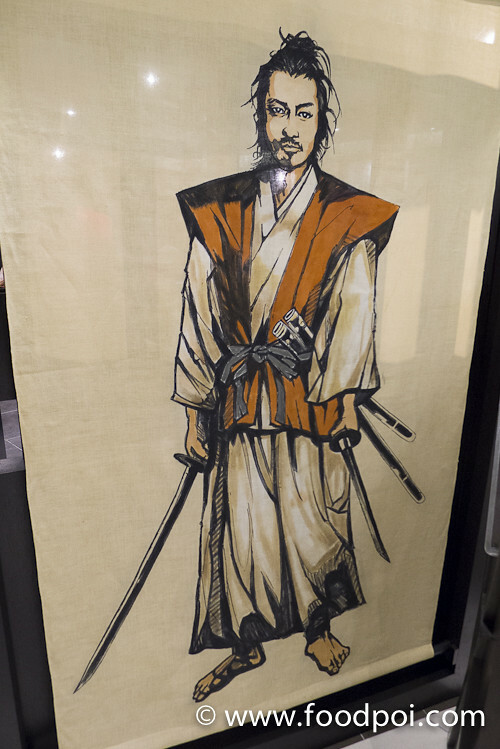 A drawing of the ancient samurai named Musashi Miyamoto where the restaurant got its name from. 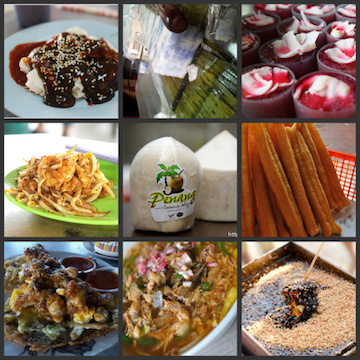 Oh yumms! 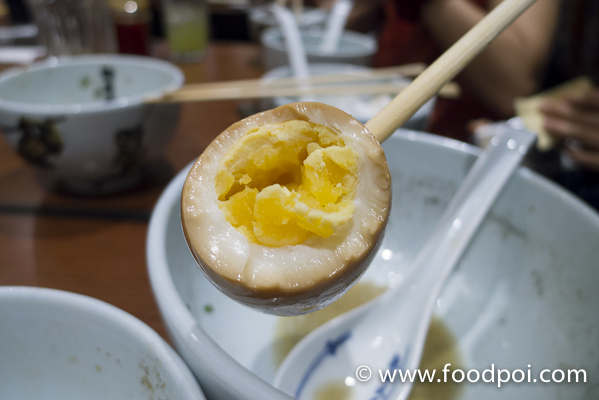 I love the eggs runny too but this looks better than many other places who serve it like a 100% boiled egg. The char siew is indeed good looking. Right balance of fat and meat. MUAHAHA! I DONT MIND GOING THERE AGAIN!